Next on The Scoop: Do You Favor One of Your Cats Above the Rest? Here are some tips -- easy ways to reduce anxiety related to vet visits for you and your cat alike. For me, days with doctor’s appointments usually start with an artery-clogging brunch and a Bloody Mary to help stave my sweaty palms and racing heart, and I’m certainly not alone. About 20 percent of the human population suffers from white coat syndrome, which causes their blood pressure to surge when measured in a doctor’s office. What’s more, fear of needles is even a recognized phobia listed in the American Psychiatric Association’s DSM-IV manual. And findings from the recent Bayer Veterinary Care Usage Study show many cats seem to share those same fears, with 58 percent of cat owners reporting their cats hate going to the veterinarian and 38 percent of owners reporting feelings of stress just thinking about bringing their cats to the clinic. My normally laid-back torbie, Lucy, is no exception. While she’s unflappable at home, she typically spends every visit to the vet doing her best impression of a lawn ornament -ÔÇô frozen with fear. Only her own sweaty paw pads indicate with certainty she is still, in fact, awake and aware of the doctor’s every move. But, according to experts I spoke with, there are some easy ways to reduce vet anxiety for you and your cat alike. 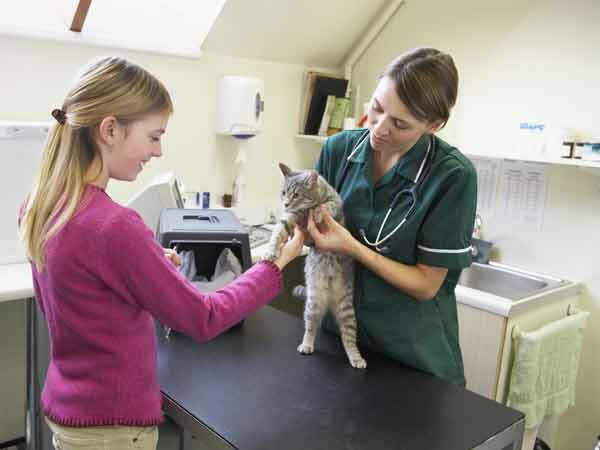 Finding a clinic that participates in the American Association of Feline Practitioners’ (AAFP) Cat Friendly Practice Program and is familiar with the Feline-Friendly Handling Guidelines is a good starting point when researching the right vet. From there, look for indicators that the practice is a fit for your cat. Call and ask if a veterinarian will verbally walk you through a typical exam. If your cat is nervous around dogs, ask if the practice has a separate waiting area for cats and dogs and separate areas in the back should the cat need to be taken out of the exam room for procedures. But that doesn’t necessarily mean you should seek a cat-only practice. 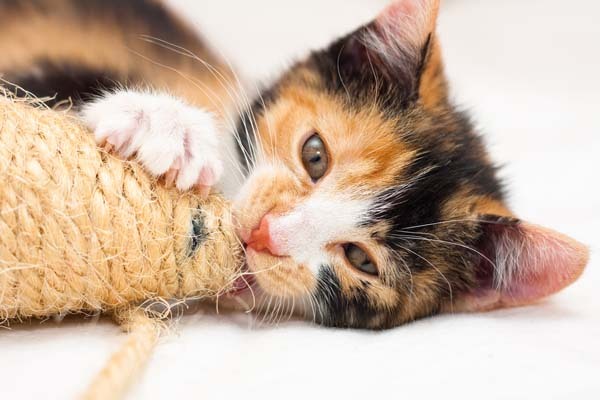 "Because, sometimes, the cat smells are just so overwhelming," says Dr. Eliza Sundahl, co-chair of the panel that developed the Feline-Friendly Handling Guidelines for the AAFP and International Society of Feline Medicine. And there are things to keep in mind when you get to the vet. 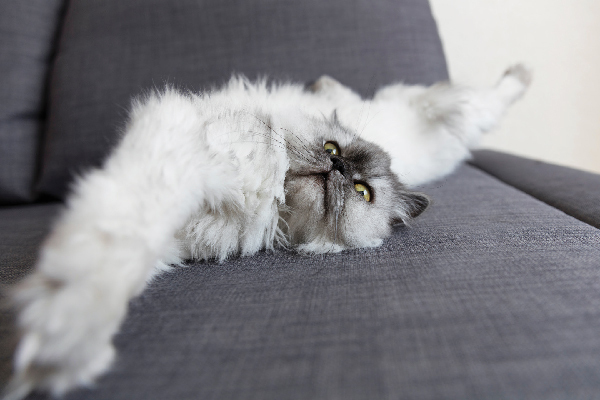 Maintaining an open dialogue in which cat owner and vet see one another as partners leads to a better experience for everyone, says Sundahl, who emails new clients the AAFP client brochure with tips on getting their cat to the veterinarian (PDF). Employees at her practice, KC Cat Clinic in Kansas City, Mo., also try and read the cats’ body language once they make it to the clinic. Some cats like to stay in the carrier as much as possible. Others like the tray of the scale. Still others prefer hanging out in a clean litter pan stocked with towels. 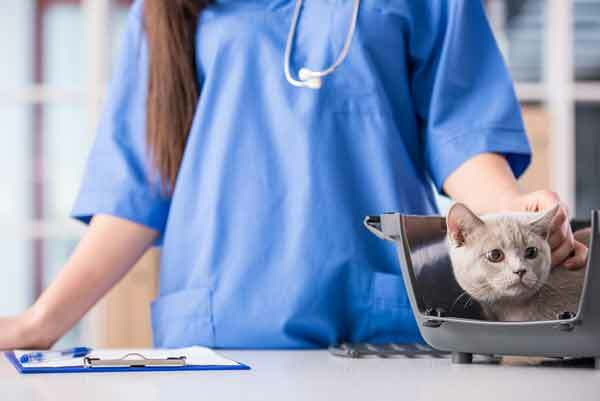 "And so you do the exam where the cat is most comfortable," says Sundahl, who adds some cats even prefer to be examined in the bottom part of their carrier with a towel over their head so they can peek out while still feeling protected. "Some clients will still carry a cat into the vet’s office, but you always want to transport a cat in a carrier," says Dr. Michael Dym, who practices conventional and homeopathic veterinary care in West Palm Beach, Fla.
Other clients think soft-sided carriers are cuter or more comfortable for the cat, but they can make it almost impossible to extract the creature once at the vet. "Functionally, it forces the cat to go through unnecessary stress to be pulled out or dumped out," Sundahl says of soft-sided carriers. When possible, leave the carrier out to make it part of the cat’s everyday environment. If you do store it somewhere out of the way, clean it a week or two before the vet visit so it does not smell strongly of disinfectants. Sundahl recommends spraying synthetic hormone like Feliway in the carrier a half hour to an hour before putting the cat in. Towels or old T-shirts in the carrier can also help surround the animal with familiar scents of home. "Once you get to the vet, the carrier is a little piece of heaven," she says. While there is music marketed exclusively to cats ÔÇô- and their owners with credit cards — there’s no need to start an iTunes account for your cat. 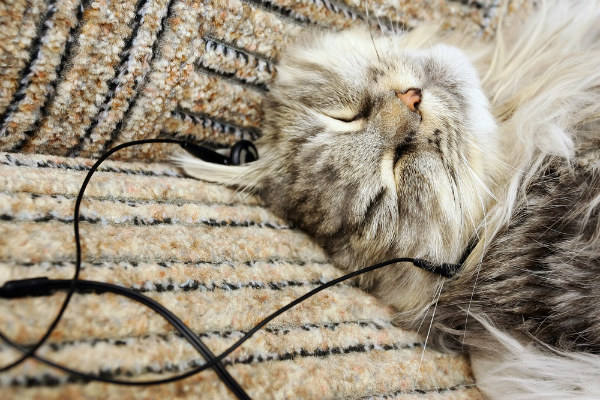 Many cats find classical music or any low-key instrumentals soothing on the way to the veterinary clinic, says Sundahl. 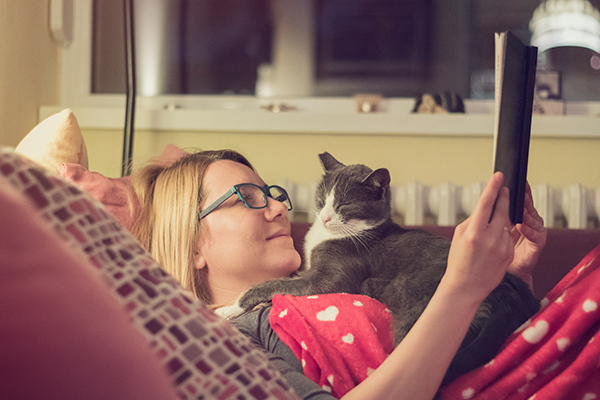 Although it can be tempting to try to verbally comfort your cat or pet her a lot when she is stressed, try to back off a bit, "because those things can escalate their fear and arousal," Sundahl says. Instead, give your cat the opportunity to just watch and see what is going on around her when you get to the veterinary clinic. Rather than prescribing behavior modifying medications like alprazolam (Xanax), Dr. Dym likes to first explore more natural remedies. Products derived from the flowering plant Aconitum napellus are just one of many options, says Dym, who recommends researching veterinarians who are open to homeopathic care if that’s the approach you prefer. Cat’s visits to the vet shouldn’t be limited to when they are obviously sick or hurt. And just because an indoor cat may not need a full slate of vaccinations, he should still get periodic physical exams, says Dr. Dym, who adds that regular checkups can go a long way toward teaching your cat the vet clinic isn’t all about needles and neutering. 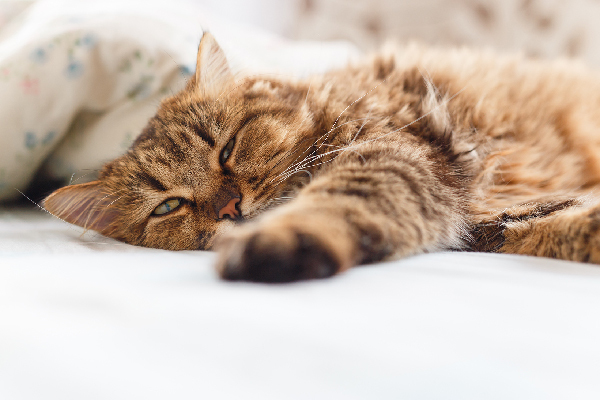 As it stands, 52 percent of America’s 74 million cats are not receiving regular veterinary care according to the Bayer study, which also found many cat owners did not feel their vet emphasized the importance of annual exams. "Our goal is to educate clients, and we haven’t done that," Dym says. But he and other experts agree these simple strategies can go a long way toward curing white coat syndrome for both you and your cat. Would You Take Your Cat to an Animal Chiropractor? 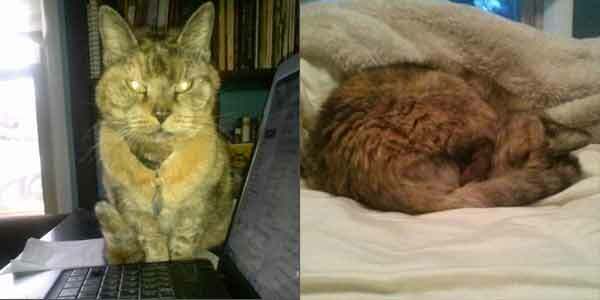 About the author: Charlene Oldham is a writer and teacher in St. Louis who, despite some mutual anxiety, visits the vet regularly with her torbie, Lucy.